Fnatic and Ninjas in Pyjamas came together on the Gfinity 3 main stage towards the latter stages of Pool Play, battling it out for a chance to progress onwards to Championship Sunday. This match up could stump the chances of a tournament for one of these leviathan rosters. The teams come together to play a best of one on de_Dust 2. The game commences with Fnatic on the Terrorist side who immediately start to push from mid map to B and after a triple kill by Xizt the game swiftly goes 1-0 to Fnatic. With the recent losses from Ninjas in Pyjamas, I believed Fnatic could take the victory using their momentum from previous matches. However with great team play, NiP quickly started to dominate Fnatic,winning round 3 after an amazing quad kill from Friberg on the bomb site, clutching the round for NiP. Round 5 sees Fnatic attempt to push to long A, a risky move due to players pre aiming from long, in turn being mowed down by the awaiting NiP team taking the score to 4-1. With the next round, Fnatic push mid with kills being traded from both sides, making it a 3 versus 2 situation in favour of NiP, the score then advances to 5-1 after NiP clear out the remaining Fnatic players. Fnatic are then forced into the worst case scenario: an eco round forcing them to use pistols as they can’t afford anything more. NiP decide to stack B site with a player at the spawn of the Counter Terrorist’s and at long A. Fnatic then make their way to short and manage to sneak on to the bomb site successfully planting the bomb, but are faced by NiP resistance from the Counter Terrorist spawn. Fnatic were holding B site strong with picks from both sides taking it to 2 v 1 in favour of Fnatic, and despite the disadvantage Fifflaren manages to clutch with a pistol taking the score to 6-1 and receiving a great response from the crowd. 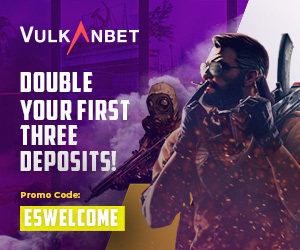 Fnatic now have money in the bank, taking a safe short offensive with two entry kills on A site with both teams dropping players which takes it to 2 versus 2. The bomb gets planted but NiP lose their final players taking the score to 6-2. Could this be the comeback for Fnatic? They attempt to build momentum by pushing long A after an early pick, and successfully plant the bomb, which will give them the much needed money for the next round, before being shut down by Friberg. The rounds continue, and NiP soon find themselves 9-2 ahead of Fnatic as things begin to look grim for the Swedish squad. Suddenly, things turn around Fnatic get some real fire in their bellies – taking 4 subsequent rounds ending the half at 9-6. NiP immediately mount an offensive on short, where the Fnatic players will be pre-aiming waiting for an attack, getting early picks to build an advantage in the round before being swiftly countered by Fnatic. The score goes to 9-7. This comeback continues in a similar fashion, with the squad taking another two rounds confidently to bring the score to 9-9. Round 19 commences with NiP getting a pick in mid and pushing through to B with focus, forcing the last Fnatic player to save his gear and give up the round. Both teams equally trade scores taking it to 14-14. It’s been the closest game of the day and looking at the teams, either team could have taken the win. NiP force buy all they can, push mid with a triple kill from Flusha in mid and Fnatic force the score to 15-14. Fnatic have now taken the lead even though they have been behind since round 3. Round 30 begins, Fnatic can either take the victory or NiP can get the draw and leave both sides with a sour taste in their mouths. However, at this point NiP are completely broke, only managing pistols and grenades. 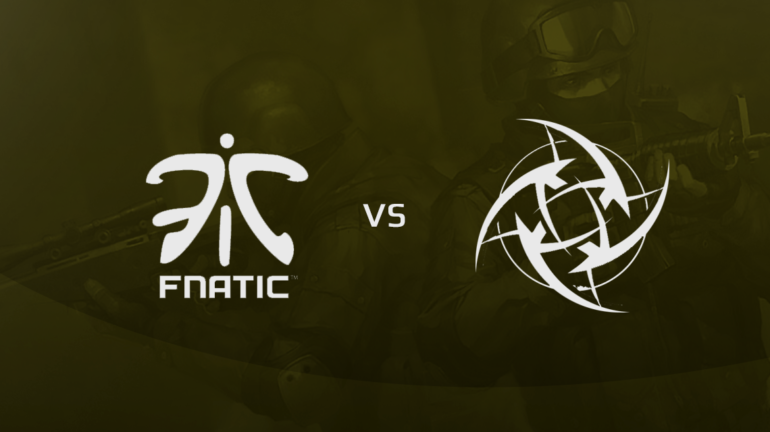 Fnatic completely decimate NiP as they entered A, and Fnatic successfully take the game with a score of 16-14.